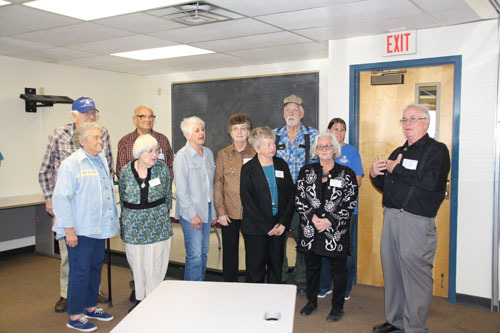 On March 31, 2019, a small group of people from New Mexico and Arizona met with Martha Boneta, a Policy Advisor and Commentator In Washington DC (she is also a farmer) and members of the Johnson family, who own a very large ranch and farm directly on the US Mexico border. In 2017, Martha toured the border and the cattle crossing area in Santa Teresa, Dona Ana County, NM, which is a more populated area close to El Paso, TX. Martha was also sent to McAllen, Texas, to report on the border status earlier this year. 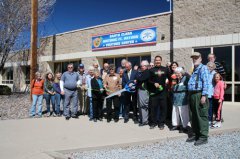 This time Martha toured the border in Luna County, where we have illegal border crossings involving drug and human trafficking, and who knows what else coming across the border. 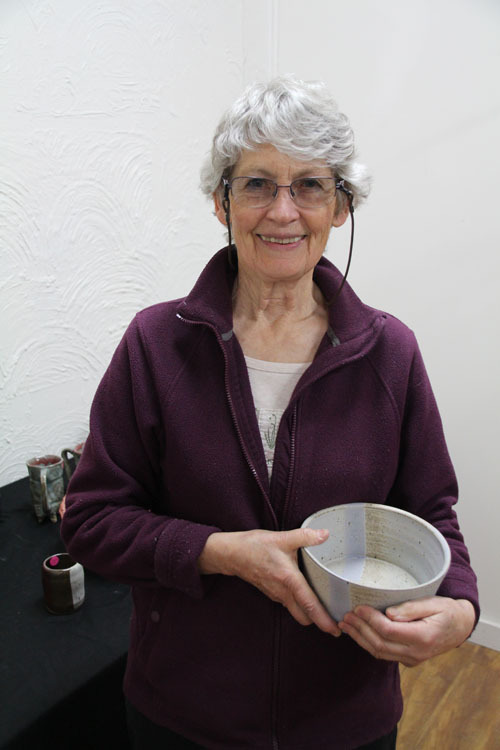 Martha quickly grasped the magnitude of the problem once she saw the remote area and distances involved. 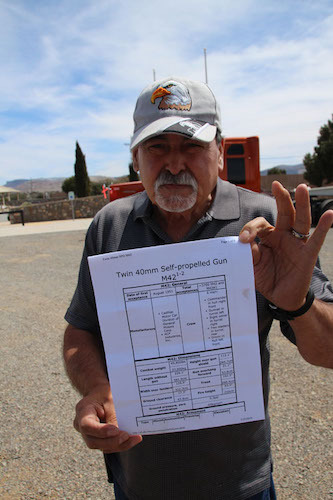 Martha wanted to live stream images of the border and interviews of the Johnsons, however, cell phone signals are mostly non-existent along the southern border area in this part of New Mexico. 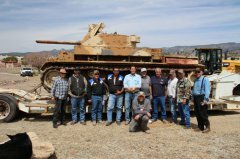 Those gathered to welcome the Duster to the Bataan Park Forgotten Veterans' Memorial. 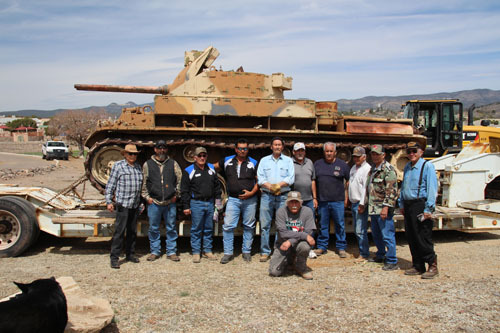 They include, not in order, Tuddie Chacon, David Pratesi, Paul Madrid, José Ray, Jason Ray, Rep. Rudy Martinez and Rep. Harry Garcia, Demesio Torres and Eric Sanchez and Danny from the town of Silver City maintenance, and Alex Candelaria. 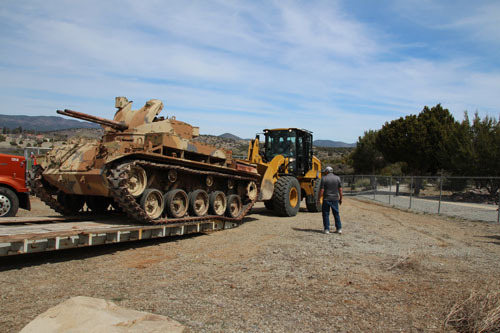 A front-loader driven by one of Silver City's maintenance personnel, edges the Duster off the trailer and pulls it backward down the lane to the pad where it was installed. 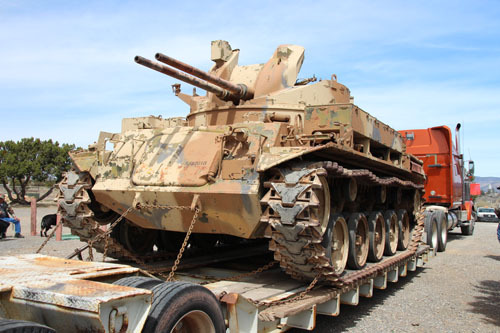 The New Mexico National Guard donated an M42 Twin 40mm self-propelled anti-aircraft gun (SPAAG) vehicle, called a "Duster," from the Doña Ana Range, thanks to efforts of three Vietnam veterans, who are also New Mexico state representatives. 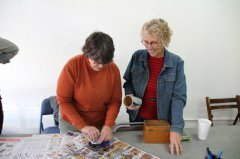 Volunteers Liz Mikols and Phoebe Lawrence wrap pieces already purchased. 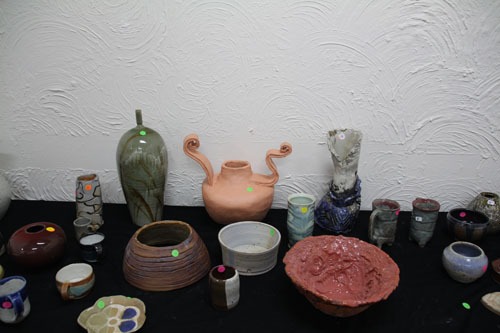 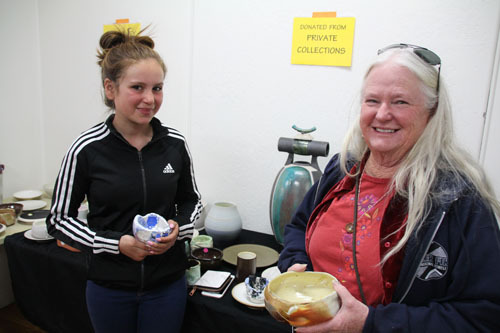 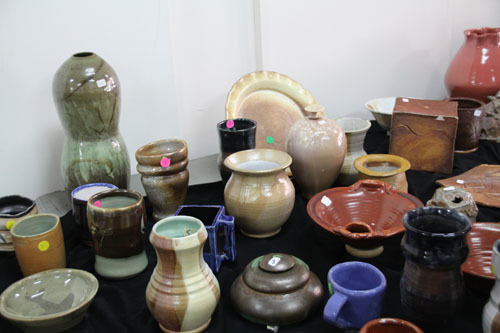 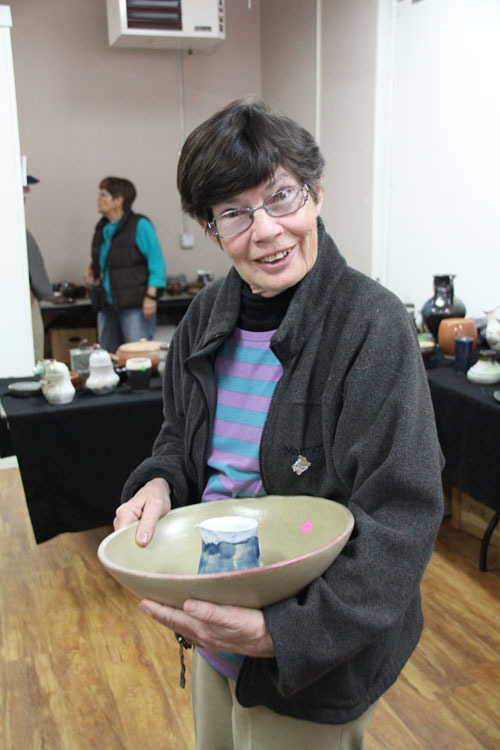 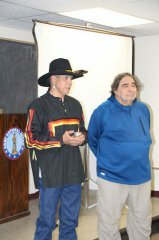 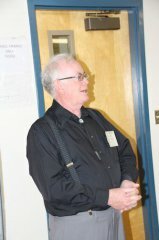 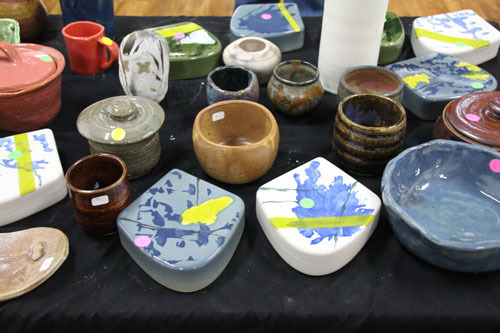 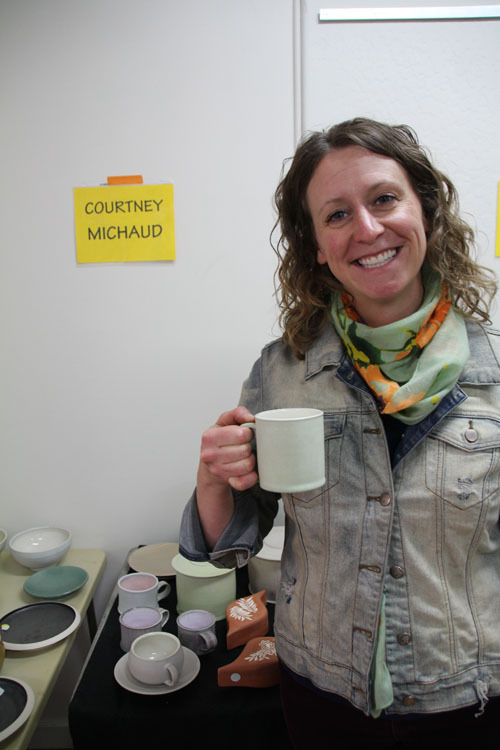 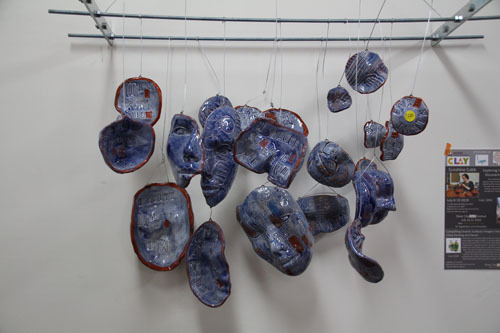 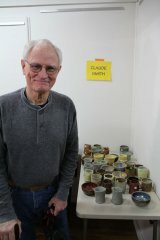 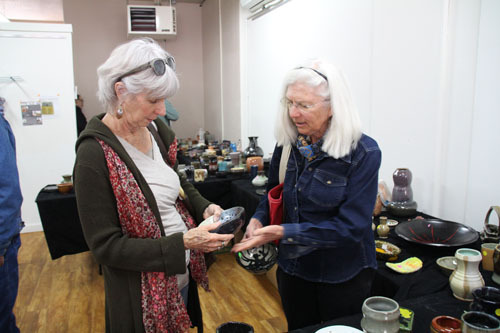 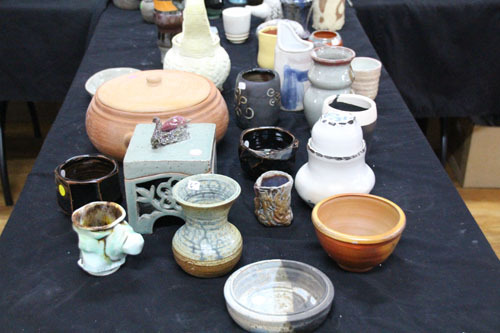 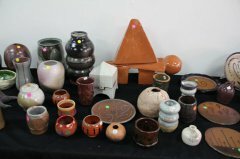 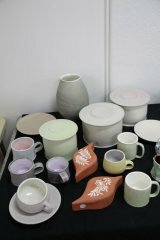 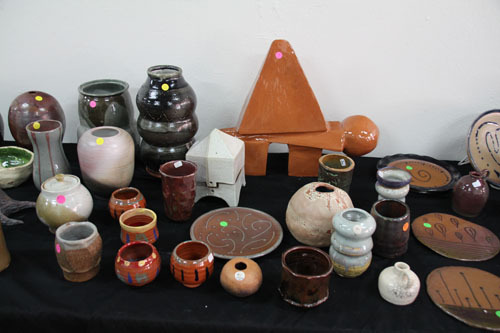 WNMU Ceramics Department periodically holds fundraising sales of potters' works. 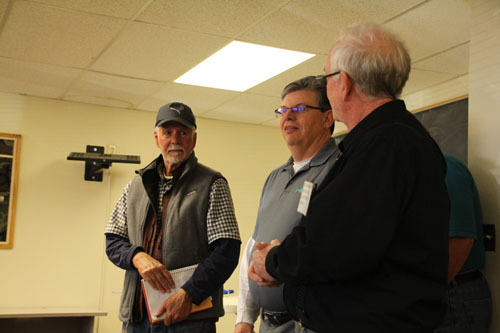 This one was held on March 23, 2019. Doug Dinwiddie, recently elected Fort Bayard Historic Preservation Society president, talks about the process to get to the point of opening. Members of the Historic Preservation Society who helped open the visitor center. 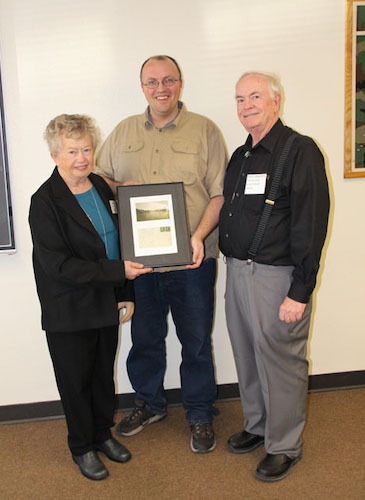 Past FBHPS president Cecilia Bell, at left and Dinwiddie at right accept a print of a 1919 postcard of Fort Bayard from Joseph Bryce of the Silver City Museum. 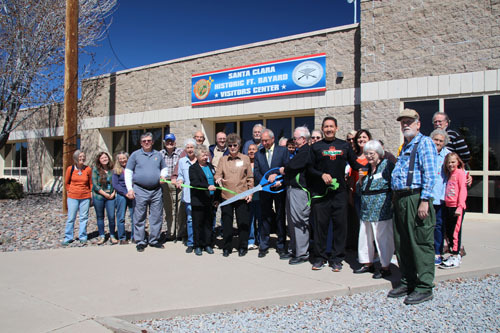 A group of Fort Bayard Historic Preservation Society members and friends gathered on Friday, March 22, 2019 for the ribbon cutting and grand opening of the Fort Bayard Visitor Center in the Santa Clara Armory Building. During the 54th legislative session that ended in mid-March Rep. Rebecca Dow (R-38) saw the passage of a couple of bills she sponsored, and both the failure and adoption of others she voted against. 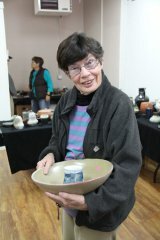 One bill particularly close to this child educator’s heart is House Joint Memorial 10 (HJM), a measure she sponsored.